Like all large cities, Sheffield relies on lift technology across the industrial, retail, commercial and domestic sectors to keep the population working, shopping, travelling and enjoying their leisure time. Unique to Sheffield, though, is the university’s paternoster lift – installed 40 years ago. The paternoster is unlike any other lift mechanism; instead of moving one passenger cabin from floor to floor, 28 two-person cabins travel on a loop between the 22 floors. There are no doors and the lift never stops; passengers hop on when the lift arrives on their floor and hop off when they reach their destination. Up to 76 passengers can travel at any one time, and the journey time from the top to the bottom of the building is just 22 seconds. Whilst we can’t boast paternoster lift installations, we’re proud to be a highly recommended lift company for Sheffield with hundreds of lift installations to our name. Residential Lift Installations – demand for home lifts is growing fast, as home-owners are planning for their future by installing a bespoke home lift, fully integrated into their domestic environment. Commercial Lift Installations – we have installed lifts in shopping centres, hotels, heritage buildings and entertainment venues, always with the aim of enhancing access without compromising on style. Industrial Lift Installations – whether clients require car lifts, heavy goods lifts or platform lifts facilitating the efficient transport of goods from one area to another, Tower Lifts can provide solutions. Tower Lifts Sheffield lift team has always led the field when it comes to designing and installing cutting-edge lift services for passengers with limited mobility, or impaired vision. We are delighted to have been part of the development of Sheffield’s access-friendly infrastructure by providing bespoke platform lift installations in schools, libraries, heritage properties and retail parks. 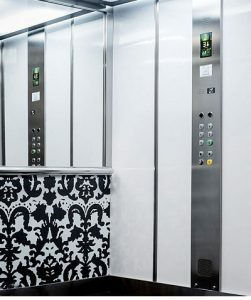 Whether you’re looking for lift refurbishment, lift maintenance, or bespoke design and installation, Tower Lifts Sheffield lift installers has the skills, knowledge and experience to find innovative solutions, and create an excellent passenger experience using state-of-the-art lift technology. If you would like to find out about our comprehensive lift installation, maintenance and repairs services in Sheffield, speak to us today on 01525 601099.